In August 2016 educators from Germany and Israel took part in a professional exchange program in Berlin as part of the project “Living Diversity in Germany and Israel – Challenges and Perspectives for Education and Youth Exchange”. As a follow-up of this seminar, the Israel Youth Exchange Authority and ConAct invited professionals and youth work facilitators to Haifa/Israel. Under the topic of “Identity and Cross-Cultural Encounters in a Pluralistic Society” 40 educators from both countries got first-hand experience of the rich landscape of youth movements and youth organizations in Israel. Haifa as a “mixed city” was an exceptional place for a better understanding of the dynamic of different expressions of identities. 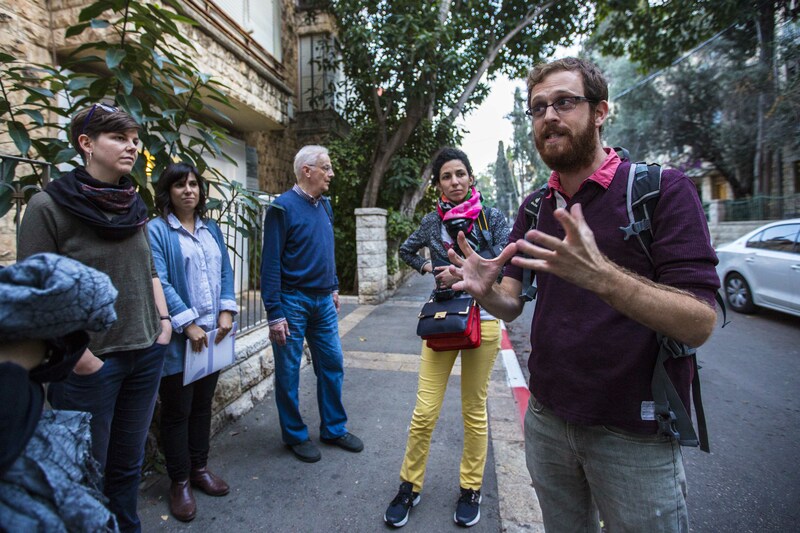 Using a “walk and talk” format, the educators discovered the history of the city and its transformation into a complex living hub which never stops changing. 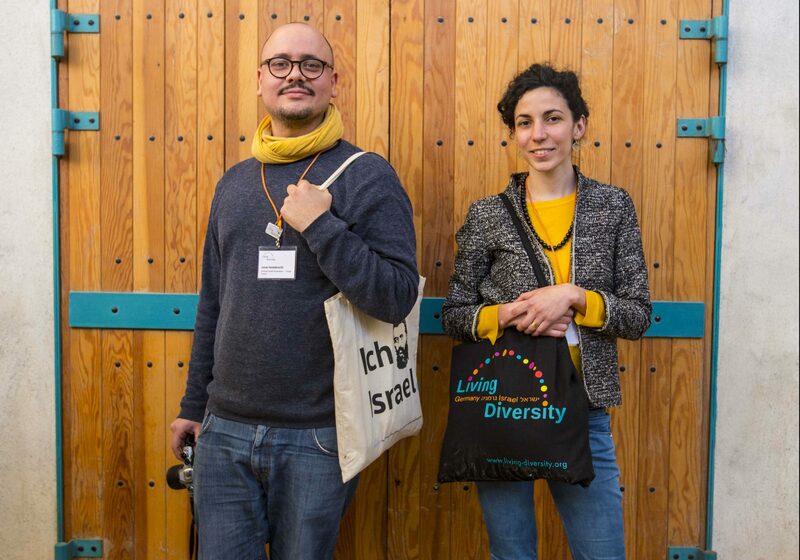 The cross-cultural encounters between people of different backgrounds, languages and social classes in Haifa unfolded the necessity to create inclusive practices for participation. During the first day the participants met with Moran Ofek, director of the bilingual “Hand in Hand” school which brings together thousands of Jews and Arabs in six schools and communities throughout Israel. Questioning the structural separation in the society, the school created a common and bilingual curriculum. The lessons take place both in Arabic and Hebrew, different narratives are equally respected and religious holidays are celebrated in common. The school has been an exceptional example for coexistence but the vision has also undergone several critical moments. “It is not easy to send kids to integrated schools if the families live in segregated neighborhoods. We had to build the community, reach the parents and create the necessary functioning surrounding in which the school can exist”, mentioned the school director. After visiting the historically rich city of Akko on the second day of the seminar, the participants visited the youth movement Hanoar Haoved Vehalomed. Miriam Awad Morad, director of the Arabic department of the movement welcomed the group together with a team of young leaders. The goal of the movement’s sector is to provide non-formal education in the fields of democracy, humanity and international values while taking into consideration the background and identities as Arabic Israelis. Miriam Awad Morad spoke about the importance of embracing the complexity that these identities come with. “Our youth struggles often with their role in the society. It took me years personally to come to terms with being at the same time an Israeli, an Arab, Muslim and secular and also a woman. What we do in the movement is to strengthen all these particles of identity and engage both minority as well as majority groups in this process”. 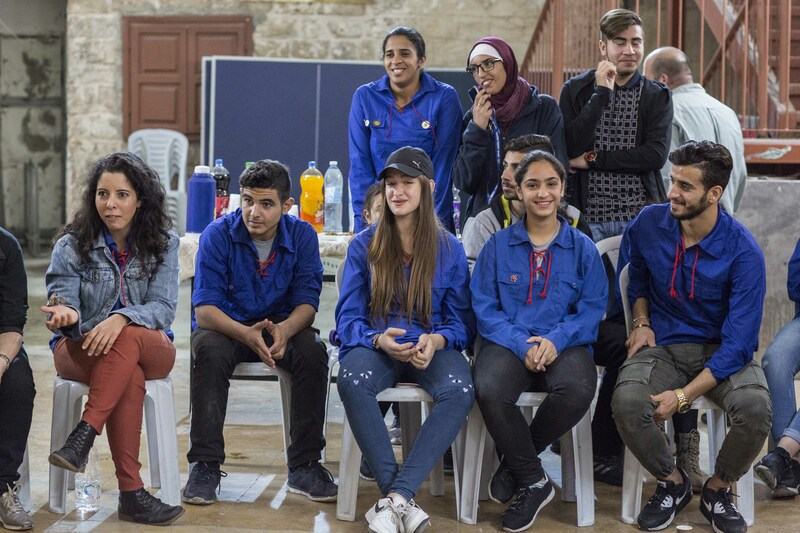 Other best-practices during the seminar included innovative projects such as the “School of Peace – School of Refugees in Lesbos” which was established by the Israeli youth movements Hashomer Hatzair and Ajial. The day was closed with a workshop led by educators of the organization Moreshet (Mordechai Anielevich Memorial Holocaust Study and Research Center) on the topic of “Holocaust Education in a Diverse Society”. “By meeting different groups of age, religious or nationality we always try to ask what was the Holocaust in human history and why is it important to know it. This is our core question and it is relevant by any perspective looked at. This is where the dialogue starts”, mentioned Moreshet educator Rotem Bar Israel. The educational program of the organization also focuses on raising awareness on positive stories around the Holocaust. 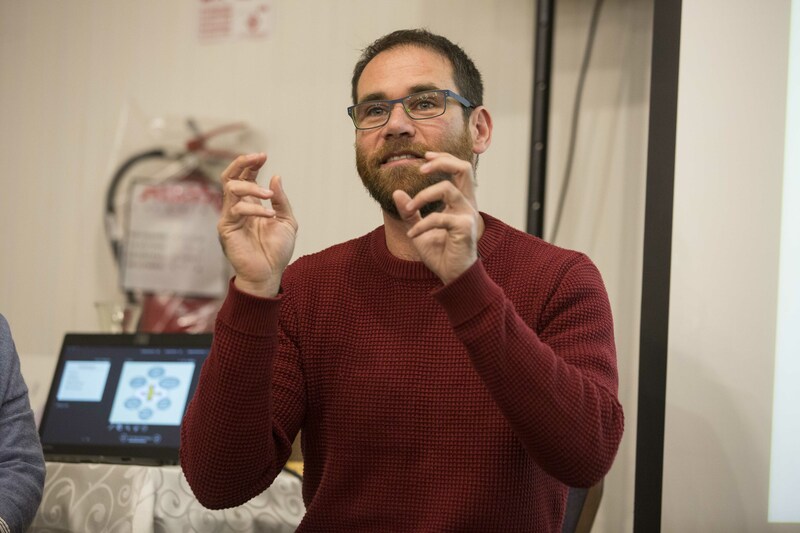 Using as example countries or societies – such as in Albania – where numerous Jewish families who sought refuge were saved, the educators mentioned the importance to talk not only about persecution but also about acts of compassion. A further important topic which was tackled during the seminar in Haifa was youth empowerment. Both organizations IGY – Israeli Gay Youth as well as Nachshonim Center for Youth at Risk provided the participants with insightful work models on how to reach and support youth which is exposed to violence and challenging life conditions. The personal narratives and each youngster’s unique background remain in the center of their educational methods. Only by building a positive self-esteem and making sure that their story counts, you can ensure that young people unfold all their competences and develop a sense of responsibility for them and their community, as was mentioned by the educators in the closing session of the seminar. The seminar was a cooperation between ConAct – Coordination Center for German-Israeli Youth Exchange and the Israel Youth Exchange Authority (IYEA). It was part of the project “Living Diversity in Germany and Israel”, which is funded by the Federal Ministry for Family Affairs, Senior Citizens, Women and Youth through the German federal program “Live Democracy!” as well as through support from the IYEA.